Dynaudio unveils new Sub 250 II active subwoofer | What Hi-Fi? 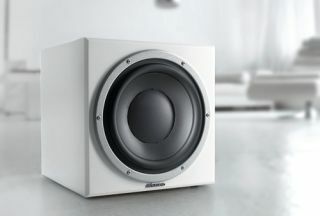 Dynaudio has announced the arrival of its Sub 250 III active subwoofer, which it says is the "ideal solution" for your home theatre, stereo or subwoofer/satellite systems. Available in four finishes, this new subwoofer is equipped with a 200W amplifier and a long-throw 24cm woofer. It is designed to bring more depth to a Dynaudio surround or two-channel set up. To further enhance the bass performance of the subwoofer, a multi-sub configuration can be used with two or more subwoofers in parallel thanks to a "slave" function that bypasses the settings on the rear. The audio signal can be fed from an AV receiver's subwoofer/LFE output into the sub's LFE input or from a stereo amplifier's pre-out into the SUB input. A SAT output will let you integrate the Sub 250 II and main speakers. The Dynaudio Sub 250 III is available now for £750.